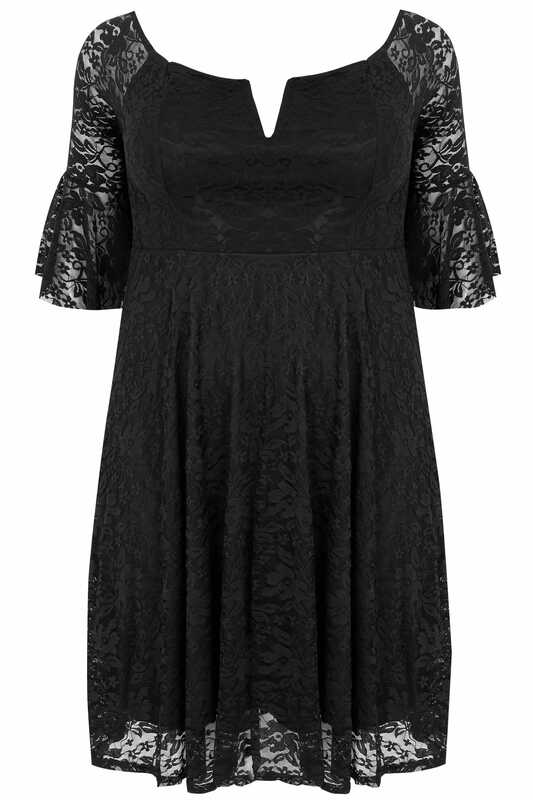 Perfect for after-dark styling, this dress has been cut to a modest knee length and elevated by all-over floral lace. With a v-neckline, the dress features a seamed waist and contemporary flute sleeves. Team with court shoes and a clutch for an effortless evening look. 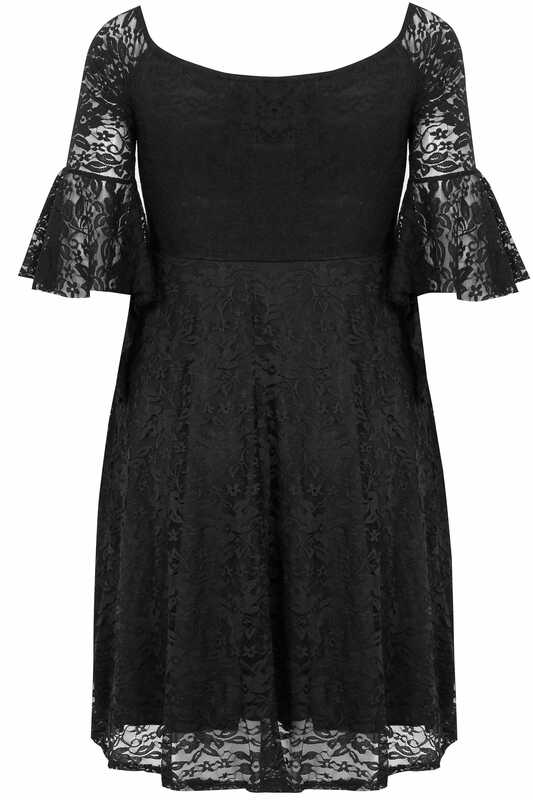 A modern twist on the classic LBD.